A Randall Cunningham personal appearance, Randall Cunningham speaking engagement, or Randall Cunningham endorsement will reflect well on your company. To hire Randall Cunningham now for any corporate appearance, fundraiser, motivational speaker event, personal appearance, autograph signing, or website endorsement please contact our celebrity agents at 1-877-6-SPORTS. We will contact Randall Cunningham or contact Randall Cunningham's agent and provide you with the booking fees and availability immediately upon your request. Direct Sportslink is the only sports speakers bureau and talent booking agency based in the United States securing only sports talent for corporations, associations, and organizations for motivational speaking engagements, personal appearances, and endorsements. We are the premier sports celebrity booking agency and a sports celebrity procurement expert. Accordingly, we will provide you with any relevant Randall Cunningham website information and booking agent details so that you can hire Randall Cunningham for your next event. 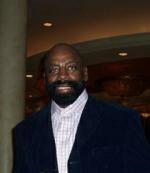 After attending the University of Nevada, Las Vegas, he was selected in the second round of the 1985 draft by Philadelphia Eagles, with whom he remained through the 1995 season. He played with the Minnesota Vikings from 1997 through 1999, the Dallas Cowboys in 2000, and the Baltimore Ravens in 2001 before retiring for good. He won the NFL MVP award in 1990, and again after his comeback with Minnesota in 1998. Cunningham's career highlights include leading the Eagles to a 36-20 road victory over the New Orleans Saints in a 1992 NFC wild-card playoff game, which was the first time the Eagles had won a postseason game on the road since 1949. His avoidance of a sure tackle against the Giants on Monday Night Football after taking a strong hit from Carl Banks that knocked him off his feet allowed him to throw a TD pass to Jimmie Giles, was a highlight staple. That same year, Cunningham became the first quarterback to both run and pass for 1,000 yards in a season. While with the Vikings, he orchestrated two late touchdown drives which enabled Minnesota to defeat the New York Giants in an NFC wild-card game in 1997, also on the road. The following year, he guided the Vikings to a 15-1 regular season record (tied for best ever since the 16-game NFL season was initiated) with 34 touchdown passes and only 10 interceptions. He retired in 2002 as the NFL's all-time leader in rushing yards for the quarterback position. 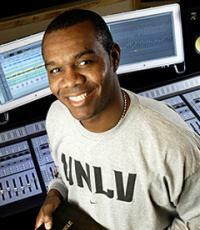 After retirement, Cunningham returned to UNLV to finish his college degree. Cunningham has also been active in the music business since his retirement from the NFL by opening a recording studio and producing a musical group. Cunningham, a born again Christian, became an ordained Protestant minister and began a church called The Cupbearer in Las Vegas in 2004. Randall Cunningham holds the unlikely record, being a quarterback, for having the fourth longest punt in NFL history at 91 yards. Based on your interest in Randall Cunningham as a speaker or for a personal appearance, Direct Sportslink has provided you additional links below for other sports talent with similar appearance fees, speaker topics, and categories that match Randall Cunningham.